Prince William and the Duchess of Cambridge, née Kate Middleton, have been elected Honorary Life Members of Marylebone Cricket Club, of which the Queen is patron. Following in the footsteps of the Duke of Edinburgh and Prince Charles, who are also Honorary Life Members, the royal couple's appointment was announced by MCC's president David Morgan at the Members' Bicentenary Banquet on 8 October. "We are delighted that Their Royal Highnesses The Duke and Duchess of Cambridge have accepted our invitation to become Honorary Life Members of MCC," said David. "It was an honour to announce the news at the Members' Bicentenary Banquet on Wednesday. Click link for full post from Hello Magazine. 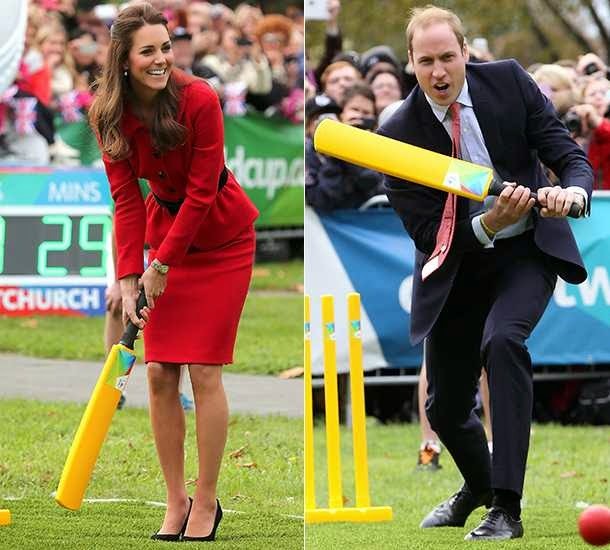 Semoga artikel Prince William and Kate Elected Honorary Life Members of Marylebone Cricket Club bermanfaat bagi Anda. Jika kamu suka dengan artikel Prince William and Kate Elected Honorary Life Members of Marylebone Cricket Club ini, like dan bagikan ketemanmu.